Are you using ClickFunnels to build out your sales funnels and pages? If you said yes, then you are in the right place. Hey its Mark Thompson from PayKickstart. As a fellow online Entrepreneur, I fully understand the value of having software, systems and automation built into your business to help it run like a well-oiled machine. This is actually one of the reasons why we use ClickFunnels for several of our pages. However, while ClickFunnels is, in my opinion, the best solution currently available for building all different types of landing pages and funnels – without the need for a designer or developer – they still lack in other important areas. PayKickstart to Create The Ultimate Selling Machine! 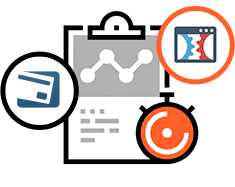 Unfortunately, when it comes to the actual checkout experience and affiliate management functionality, it is somewhat of an afterthought in ClickFunnels. It’s not a knock on ClickFunnels. Knowing first hand, we realize that it’s hard to be the very best at everything when it comes to building software. That’s why at PayKickstart we have put our focus at being the very best shopping cart and affiliate management solution. that ClickFunnels can’t already do? First off, everything inside ClickFunnels is powered by “funnels” which makes it hard to manage products – having to add/clone the same product that may be used in multiple funnels. 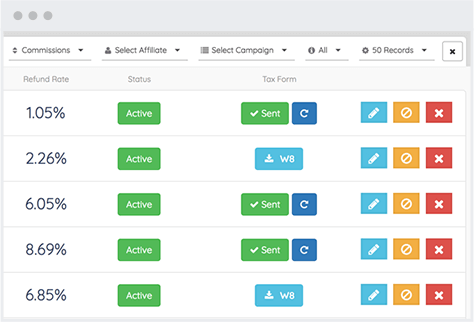 Instead, PayKickstart allows you to create Campaigns, adding products into those Campaigns, then easily selecting the products you want to add inside of an easy visual funnel builder. This approach allows for more flexibility and customizations. While ClickFunnels offers a bunch of great landing page templates, they lack a large library of checkout templates. 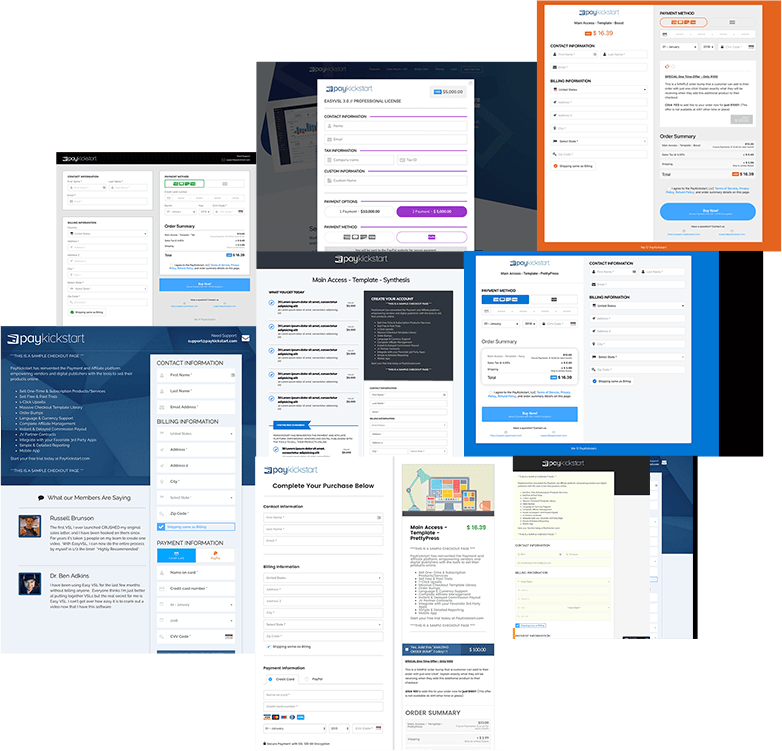 PayKickstart provides a massive library of professionally designed one-step and multi-step checkout page templates that are easily customizable to fit your branding and customer experience. 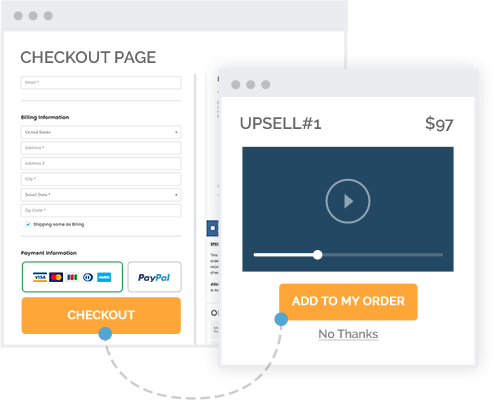 As well as checkout page templates, PayKickstart also offers additional checkout options like Checkout Popup Widgets that can display on any link, graphic or buy button. 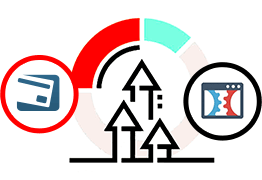 As well as Checkout Form Embeds, which allow you to create a custom checkout page with literally any page builder (like a ClickFunnels) or HTML, then insert a checkout form directly onto the page. While both platforms offer 1-click upsells for Credit Card, a major feature that separates PayKickstart is the ability to offer 1-click upsells for PayPal as well. We have partnered with PayPal to be the first shopping cart to integrate their brand new API, that supports 1-click upsells, instant commission payouts to affiliates, seamless subscription management and much more. Since ClickFunnels doesn’t truly manage the subscription themselves, creating a subscription requires you to go to your payment gateway, create the subscription, then map that subscription in ClickFunnels. Outside of adding extra steps and time, there are a bunch of setbacks here. First, you do not have the flexibility to adjust the subscription if needed, for things like pushing out the next payment due date, seamlessly upgrading or downgrading a customer to a different plan or level, cancelling and restarting a subscription, changing the payment method from PayPal to Credit Card or Credit Card to Paypal, even switching payment processors altogether for future rebills and sales. PayKickstart gives you the flexibility to do all of these things – straight out of the box. Also did you realize that around 30% of rebills fail? Unfortunately, ClickFunnels doesn’t have a dunning email sequence to have customers update their billing details and keep the subscription active. PayKickstart provides our subscription saver sequence that has proven to regain around 50-60% of those failed rebills. 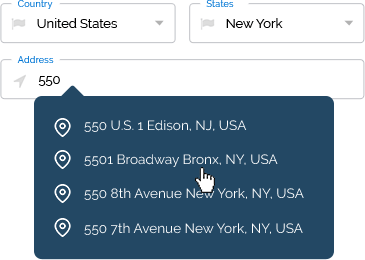 ClickFunnels also lacks things like Address Auto-Complete. So instead of making a customer manually enter their entire billing details, with PayKickstart they can start typing their address and it will auto-complete the rest of the fields. If you cater to multiple languages and locations, it can be a tedious task in ClickFunnels – having to manually translate the text on each checkout page. 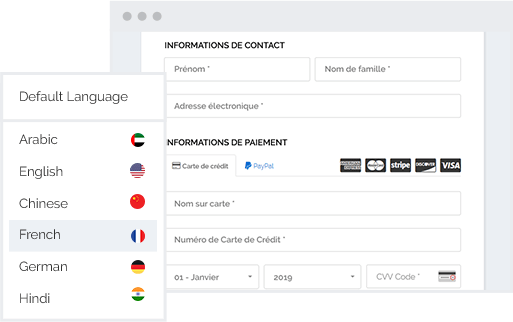 With PayKickstart, you simply select which language you want, and it will automatically translate it for you on BOTH the checkout page and the email notifications that are sent to your customers. 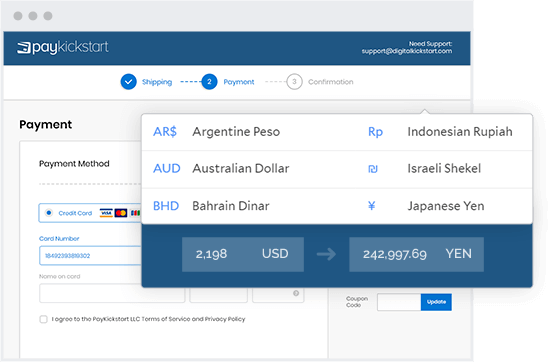 With PayKickstart, not only can you charge customers in up to 32 different currencies, you can also enable our Currency Conversion feature, which allows the customer at checkout to see how much they will be charged in their local currency. Many businesses are required to charge a sales or VAT tax. Unfortunately, ClickFunnels doesn’t offer this ability. With PayKickstart, you can create and apply a Tax Profile to any order. Tax Rates are updated on a regular basis or you can create a custom tax rate of your own. As a vendor, it’s a forgone conclusion that you’ll receive chargebacks and disputes. It’s just part of running an online business. However, ClickFunnels does not have a way to update each transaction/affiliate commission. So this can lead to paying affiliates commissions on disputed transactions and throw off your accounting, tracking a dispute or chargeback as revenue. PayKickstart speaks directly with each of your payment gateways, to keep each transaction up-to-date, throughout the dispute process. Only unlocking the transaction once it’s completed. Now that we’ve covered the differences from a checkout view, let’s dive into some of the differences when it comes to affiliate management. 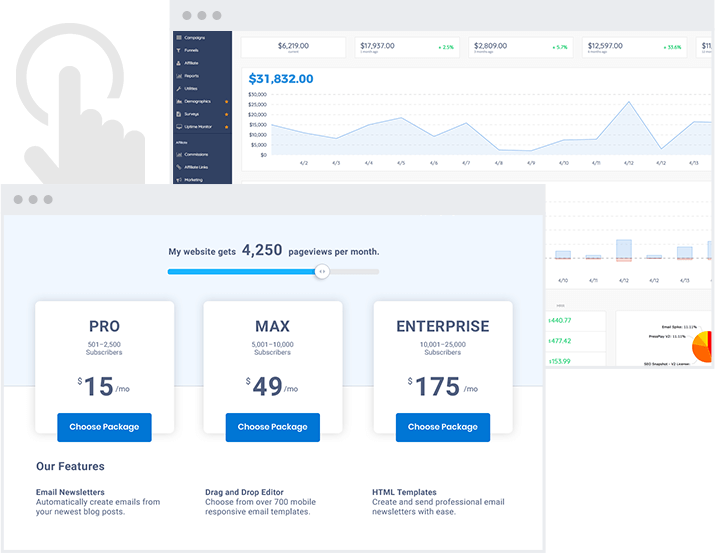 First off, the biggest difference is that your monthly bill from ClickFunnels will increase a few hundred dollars JUST to be able to have any affiliate management functionality. With PayKickstart, Affiliate Management is included with our Professional plan and Premium plans. 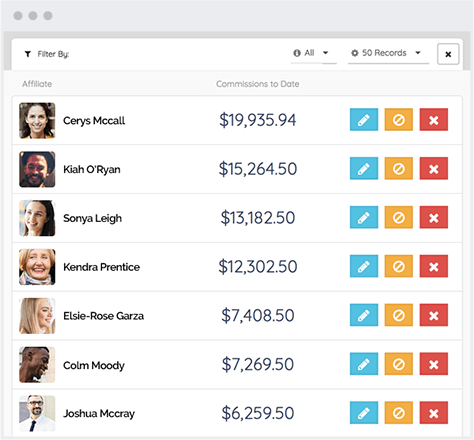 Also Backpack, ClickFunnel’s affiliate system is extremely basic – handling only basic tracking and payouts. Have the ability to pay out your affiliates instantly at the point of sale. 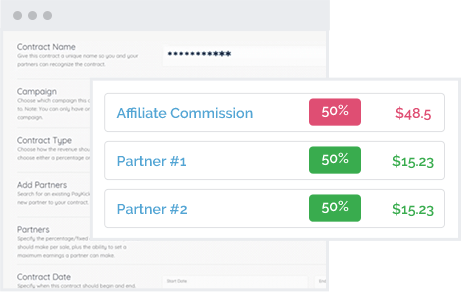 Control whether an affiliate should be put on instant or delayed commissions. 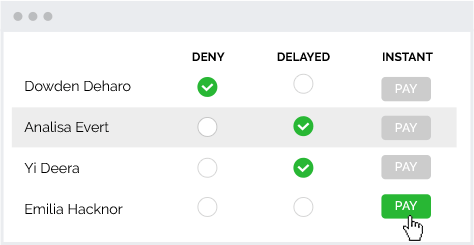 Once on delayed, you will have an advanced Payouts wizard that allows you to pay out commissions via PayPal Mass Pay, Bank Wire, Payoneer, or Check. PayKickstart has the ability to issue commissions for both verified leads and sales that an affiliate refers. This is great for CPA offers, leads contests or pre-launches. Let’s say you have partnered with someone to launch a product. Instead of manually having to do accounting every month to see who is owed what, you can create a JV contract, set the revenue sharing for each product and PayKickstart will automatically calculate your partner or partners revenue share – even taking payment gateway fees into consideration. 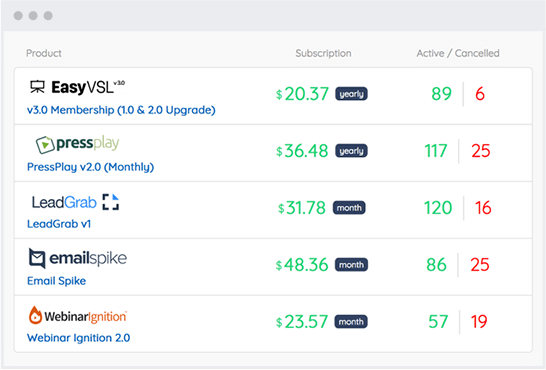 Vendors can add email swipe copy, banners and even create real-time leaderboards of which affiliates can access directly from inside their PayKickstart account, to easily promote your products. 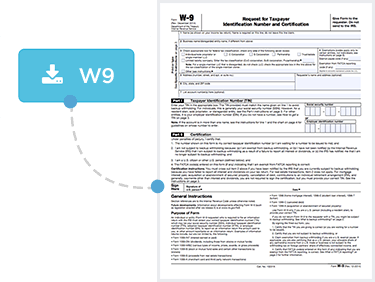 PayKickstart requests a W9 or W8 tax form to be filled out by each affiliate. This is great for the end of the year when you need to send affiliates the appropriate tax form. and Build an Army of Affiliates"
No more “duct tape” needed! We’re so happy to find PayKickStart. This is the solution we’ve been looking for and now we can finally rest with confidence. 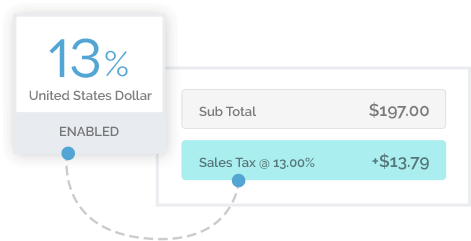 We use the PayKickstart checkout popups and integrate directly into our sales page and have seen outstanding conversions due to how simple you guys have made it. Until we switched this March and we’ve seen sales nearly TRIPLE our revenue based on how easy the checkout and upgrade process has become! We just started using the affiliate management and we have received so many good reviews from our affiliates on how simple the system is compared to what they are used to! We love PayKickstart and will be integrating it further into our product line as it has earned our seal of approval. We’ve even started recommending it to friends and colleagues and they’re blown away at how robust and powerful the platform is, yet simple and user friendly. Great platform and your support is excellent! I’m a part of a new management team with our family newspaper. In my role I was charged with creating a digital subscription program with incentives. Paykickstart provided just the platform that I needed to automate the transactions and pay affiliates seamlessly. The customer service team was so patient as we tested the system and the affiliates are really enjoying the fruit of their labor. Our son who is ten loves to receive those congratulation emails. The reporting options make my job so much easier. The platform is super easy to set up and is very intuitive. Seems like Paykickstart thought of everything from recurring billing to split commissions and customer follow up emails. This platform not only saves us time but provides an opportunity for us to compensate our team as we build our subscription base. 50% conversion on the car (small sample). All because the PK integrations are firing properly. Wanted to give you some positive feedback since you only heard from me when something wasn’t working. I have been using PayKickstart for about 4 months and used it to launch my membership site. I was deciding between PayKickstart and another very well known platform. Why did I choose PayKickstart? I was having issues with the other platforms integrating with my membership platform and it was causing me stress. But only PayKickstart support went above and beyond to personally help me fix the issue and move forward. To me, quality support means a lot. ANY shopping cart out there. PK has a ton of functionality that makes being a vendor and/or an affiliate a super smooth process. The results so far in a short time are already $45,000 from using PayKickstart. Love it! PayKickstart’s support has been magnificent! PaKickstart is very simple and easy to use! I love PayKickstart! I’ve already sold over $500,000 through the shopping cart. It’s such a critical part of my business. Thanks guys! We’re absolutely thrilled we are with PayKickstart! Your support staff bent over backwards to help us and made our software integrations work – was civility personified. Our business has been online for over 15 years and we have NEVER received such first class customer support in all those years. Paykickstart is a fabulous blessing to my business! From tracking sales to making funnels to connecting me with other people who can bless my business as affiliates. 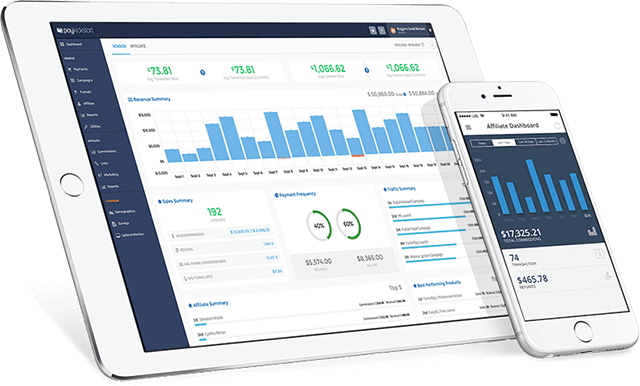 Paykickstart encompasses the necessary tools that a serious business owner needs today and does it in an easy-to-operate platform. The support team is friendly and fast to respond! I highly recommend Paykickstart!!! Before PayKickStart I was piecing together a lot of free tools. Affiliate program, payment proccesser, upsell software. I’m really good at html so I made my own makeshift upsell funnel myself. Now that I have PayKickStart I can easily manage my education products and upsell them easily. Now I can manage my 5 products without needing “approval” or anything like that. And for the price, it’s an incredible value for money. It’s a true asset, and I love it. PayKickStart ended a long battle of where to host my products and how to sell them! I have been using Pay Kickstart as an affiliate now for about a month. easily track revenue being generated from course sales. worked perfectly for getting folks enrolled in our membership site. I’m celebrating here because O kist tested and everything is working!!! people who purchases go to Teachable directly! Thank YOU! I’m soooo happy I trust my gut and went with you guys! Great support is hard to come by! PKS is a rarity in this space. Everything I need in my business is right in PayKickstart! PayKickstart is a game changer! Thank You Mark and Matt and the whole PayKickstart Team! Hey! I’m almost done with our trial. Love the platfrom. We’ve got about 100 customers and did $4,000 in revenue & just paid our first commissions today. Thanks Mark Thompson and the entire team. This has been a real blessing for our company. I’m just about to launch a program and using PayKickstart for payment and affiliate program and got to say really impressed. Great support and all questions answered.. I have a lot of experience with sales and marketing funnel set up so will be happy to contribute if I can. PayKickstart saved me $20,000 a year! It blew my mind. I now use it for all of my online and offline businesses. I have used PayKickstart for a long time and they have helped me achieve my goals. The language barrier has been broken and to achieve success they are transcending borders. Thanks so much for helping us make more sales! There’s no way anyone would ever regret subscribing to Paykickstart. Its amazing how honest you are how much you want to see your clients succeed! Paykickstart is indeed more about the success of their clients than anything else. 1. Support is amazing. Fast… this is extremely valuable when working inside the feature rich program and need help to keep moving. 2. I really like it that the Founders are coal face involved offering support from their point of view in the Facebook Group community support. 3. Continual improvement. Shows me the business has strength to keep developing. Though I may be a little jealous someone has built the tool I always wanted to create before me. Nice work! We’ve reached 1.3 million dollars in sales!, watch my video here! PayKickstart has a modern feel to it unlike any other payment systems! My conversion rate have been 3x bigger since joining PayKickstart! This is how I feel about PayKickstart! Ready to Create Your Ultimate Selling Machine?